Private and social landlord issues – a combined solution? The social housing sector turning to private sector landlords to help reduce their enormous waiting lists, and to house the homeless whilst their applications are being assessed is nothing new and is set to not only continue but is also likely to expand. So, how does it aim to improve its image with private sector landlords? How do private sector landlords aim to improve their image with the social sector and what does further expansion into the private sector mean for residential block management? Someone who thinks he has found the answers to a number of issues affecting two of those sectors, the private rental sector and social housing is Damon Thomas, Director of Fast Trak Solutions, a company established to act as the ‘middle man’ between local authorities, letting agents and private landlords. I was very pleased to be invited to have a chat with him, because not only has he seen a way of reducing social housing waiting lists but he believes his service will improve the somewhat tarnished image and perceptions each sector has of the other. He started off by explaining that currently, social housing tenants looking for accommodation in the private sector are entitled to Local Housing Allowance (LHA) to help them pay their rent but is not granted until they have found a property and signed a tenancy agreement. This is where problems start for both landlord and tenant. The ‘pre-tenancy determination’ only shows the maximum benefit that could be paid for that particular property. The ability of the tenant to be able to pay by means of a full assessment is not because it’s only after the agreement is entered into that the council establishes what amount of Local Housing Allowance (LHA) they are entitled to and how much they can afford to pay towards the rent themselves if required to do so. The processing of LHA applications is also a lengthy operation and whilst 8 weeks duration is standard, it means that the tenant is immediately up to two months in arrears which are then further accrued by subequent payments also being paid in arrears every four weeks, rather than every calendar month. An additional problem for private landlords is that LHA is currently paid directly to tenants with the idea being to encourage them to take greater responsibility for managing their finances. This has however backfired because many landlords have been left seriously out of pocket. Compare this to the private sector, where rent is always paid in advance straight to the landlord and its easy to see why they are either pulling out of renting to LHA tenants and any that are considering doing so are apprehensive. So how does Fast Trak Solutions deal with these particular issues? According to Damon, on being referred from the local authority FTS calculates the Local Housing Allowance (LHA) payable (and the tenant’s ablity to top up the rent) before a tenancy agreement is entered into. This immediately benefits both parties in that the tenant knows upfront what they can afford and the landlord is prevented from granting an unaffordable tenancy. Because around 95% of local authorities don’t carry out reference checks on people on their waiting lists, FTS carries out a full assessment of all applicants on their behalf, including their credit history and requesting references from previous landlords. Once accepted onto the scheme, tenants receive an ‘Agreement in Principle’ document that states the total amount of rent that has been approved and which acts as a guarantee to both parties that the rent is affordable. Tenants will then be referred to a network of letting agents who belong to the scheme and as soon as they find the tenant a property and the landlord agrees to accept them, the tenancy agreement is then drawn up. Along with the application data collected by FTS, the tenancy agreement is submitted to the local authority for processing, a turnaround of which may only be a few days. The landlord gets further assurance in that the ‘Agreement in Principle’ document is guaranteed by an insurance-backed warranty. Landlords can also take advantage of a comprehensive insurance package that protects them against non-payment of rent, (i.e. the tenant doesn’t pass on the benefit), any delay in payment and any difference that needs paying in the event that Fast Trak miscalculates the amount. 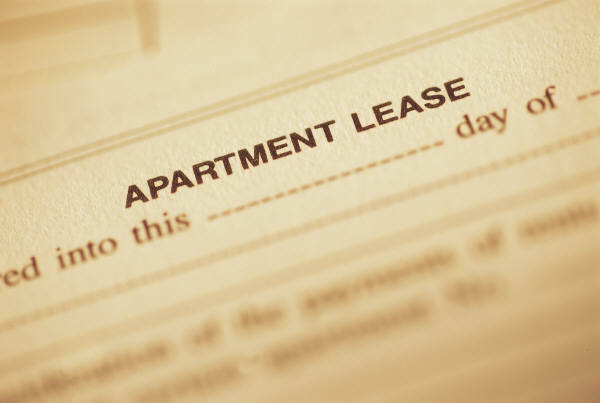 They can also be insured against damage caused by the tenant to the value of a months rent. Whilst I couldn’t fail to pick up on how passionate and enthusiastic Damon is about the scheme and whilst I admit it’s not hard to see the potential benefit to landlords, tenants and agents across both sectors, the lack of reference to residential management is a cause for concern. This is because many private landlords sublet leasehold flats and they are currently under no obligation to provide any information, either about themselves or their properties. So most of them don’t. Taking our block as an example, we have landlords who have entered into separate contracts under the Private Sector Leasing Schemes but have failed to inform us that they have done so. We can’t manage effectively if we are unaware of the existence of other parties that are involved with our block. We currently have our RTM company and managing agent, individual renting landlords and their letting agents, and we now the addition of two local authorities who also have their own agents. Add FTS to the mix and things get even more complicated. Damon’s innovative approach appears to deal with the issue of affordability and reducing the time spent on housing waiting lists but without a common thread linking landlords, local authorities, managing agents, letting agents and residential management together he is building on quicksand. I am also concerned about the fact that despite that FTS saying they work with a national network of professional letting agents we are all too painfully aware of the fact that private sector letting agents come from a completely unregulated sector, as do private landlords. Nevertheless I can see that for many, the Fast Trak Solution may well become the way forward, particularly with the rent payment guarantee dealing with the issue of those tenants who don’t pass their benefit on to the landlord. Additionally, if the voices calling for LHA to be paid directly to the landlord are acted upon then this will remove the perception of risk that is currently in evidence. I think that Damon’s company has the potential to improve the perception of the social sector but if the private sector remains as fragmented and as unregulated as it is, I can’t see the social sector changing its own perceptions any time soon. Landlord Licencing – How Much Longer Do We Wait? There is no way I would live next to those in social housing, went to look at apartments worth over 170,000 to buy – to saddle ourselves with a mortgage and work our tails off – 40% let to social housing – single mothers tattooed and swearing at their kids, smoking and drinking on the communal green – buy it – YOU MUST BE KIDDING, COUNT US OUT!!!!!! BTW block of flats going up at the back – were told for the homeless – most homeless are ex convicts or drug addicts – NO THANKS… You should be able to choose who you live with especially when buying and why should people who don’t work have property worth so much – 3 beds, 2 bath and 3 toilets – what a joke!!!! Great idea…but presumably, it is a commercial business so who pays Damon? Also, isn’t this something that responsible agents should be doing? We do! I take on board the comment about a lack of mandatory regulation, however, there are ARLA Licensed agents out there who can offer assurance to their clients by virtue of the fact that they have met the strict criteria for ARLA licensing. A really good article though and absolutely correct in the point about the challenges of residential management!